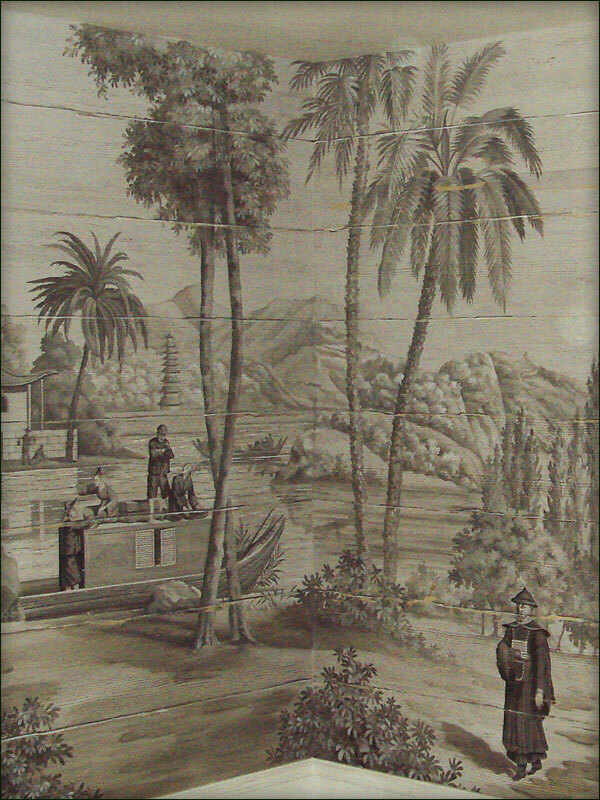 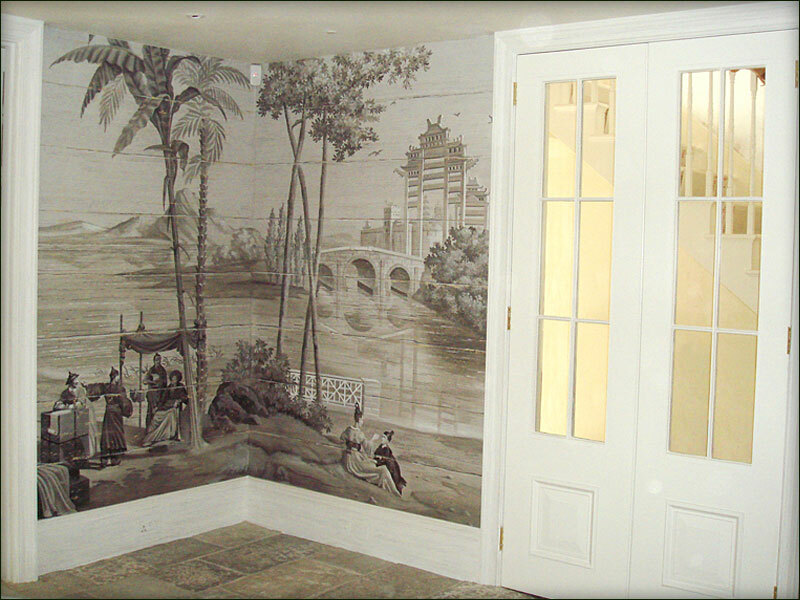 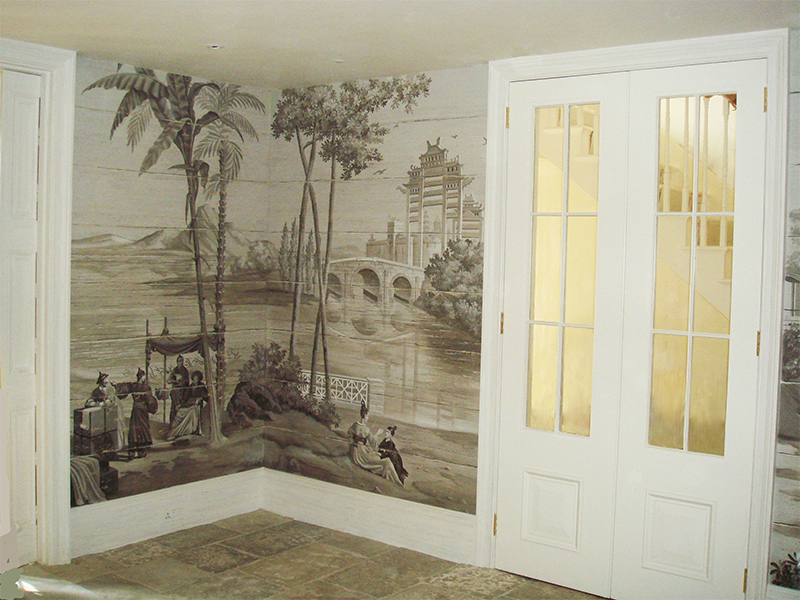 This Chinoiserie panoramic scene was painted entirely on canvas in the studio. 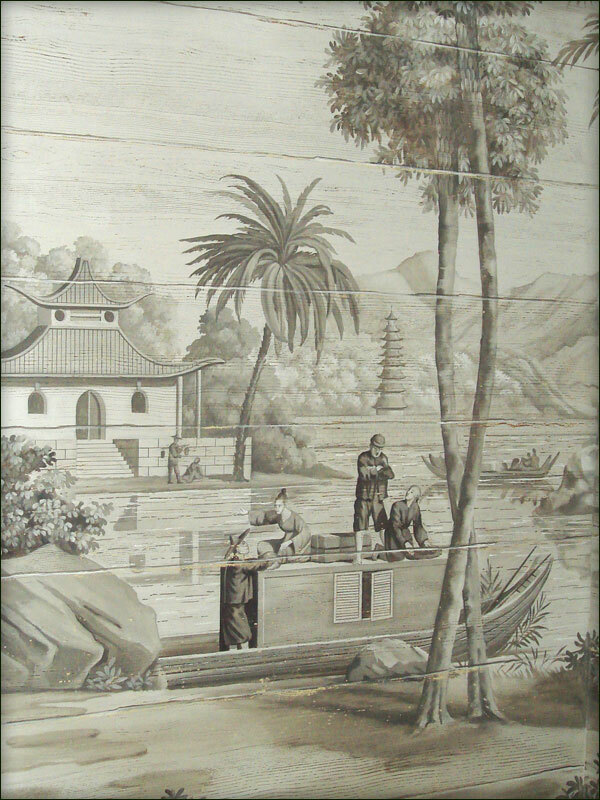 Grisaille figures, trees and boats are painted over a relief background to resemble wooden planking. 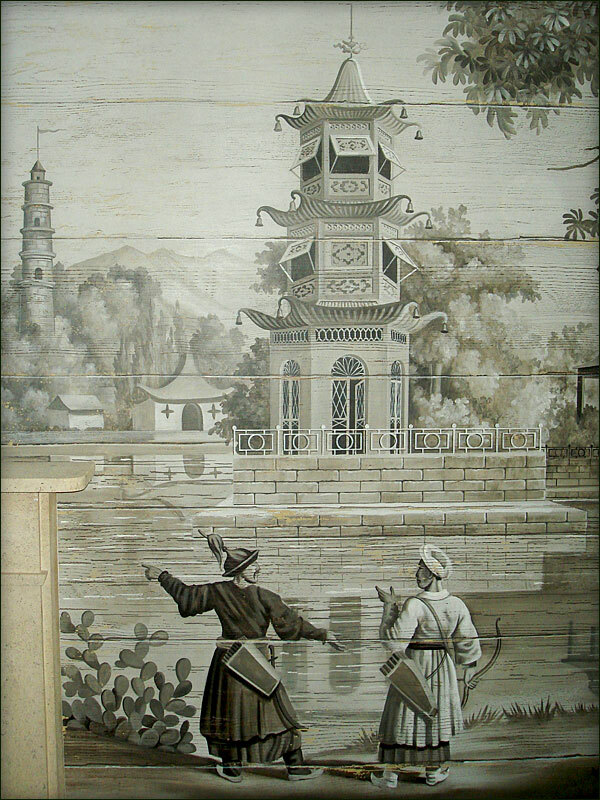 The paint is crumbling off in places to reveal the graining beneath to give an illusion of age. 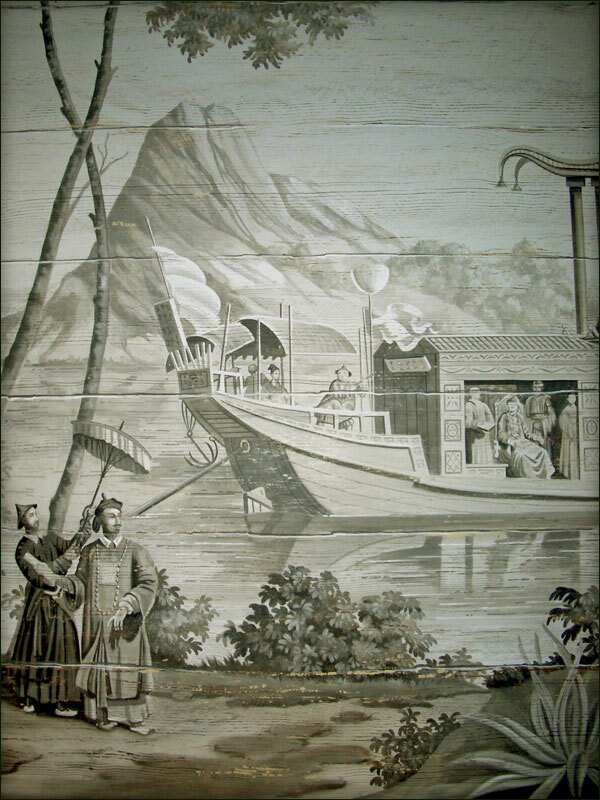 The woodwork was also finished to resemble worn paint.